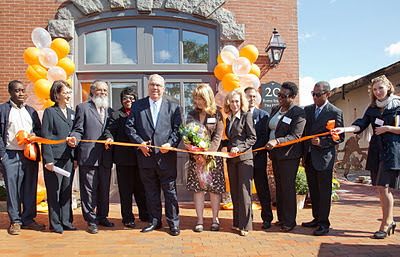 The large crowd attending the ribbon cutting of Historic Boston Inc.’s new Dudley Square headquarters was an indication of just how important this project is to the community. More than 150 people came to tour the building, hear from Boston’s Mayor Thomas M. Menino and other dignitaries and have lunch. It was a festive blending of new neighbors and long-time HBI supporters. Dudley Square is one of the oldest commercial districts in the city and has a large concentration of buildings listed on the National Register of Historic Places. Speakers said yesterday they look forward to a strong future for this area as these buildings are once again put to use. Historic Boston’s decision to move to Dudley Square is as significant as the restoration of the building, said State Rep. Bryon Rushing. “HBI knows something that a lot of businesses in Boston need to know: This is a good place to do business. This is a good place to be,” he said. Maintaining the history of the neighborhood is important to its future, said State Rep. Gloria Fox. “We have an area that is truly a treasure in Boston,” she said. The new headquarters are in the oldest standing fire house in the city of Boston. The building had fallen into serious disrepair and, prior to the renovation, was held up by wooden braces. Although intended to be a temporary fix, those braces were left in place for a decade. 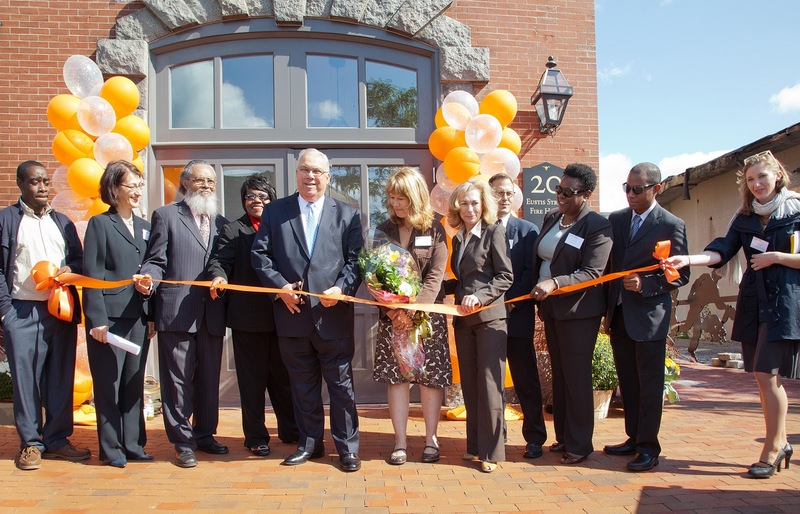 Menino highlighted another project underway, the city’s renovation of the nearby Ferdinand building for use by the school board. He said the city expects to break ground on that project in the Spring. Historic Boston is a project-based organization focused on bricks and mortar, but there is more to the mission, said HBI Board President Matthew Kiefer. “It’s not about the buildings, it’s about what the buildings can do,” he said.